shower routine was exciting for me. The second thing I noticed was the 2-in-1. 2-in-1 product I have ever used never seems to do a very good job on my hair. turnoff. But I put it in our shower to start using the next day. conditioner. I did follow up with a leave in spray conditioner. well without drying my skin out. 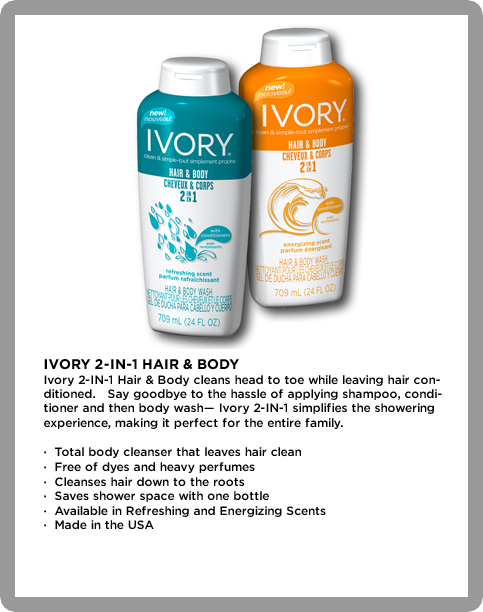 are not influenced by Influenster or Ivory.